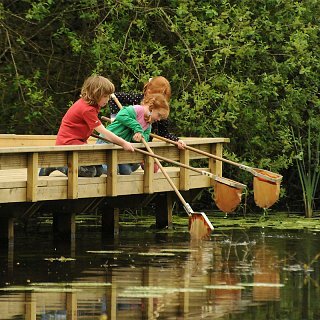 Our Woods Mill Warden is on site during the summer months to answer your questions and run some Family Wildlife Activities, such as pond-dipping or meadow sweeping. Activity times on these days are usually 11am-12 noon & 2pm-3pm. However, please see the board at the entrance to the nature reserve for details on the day. 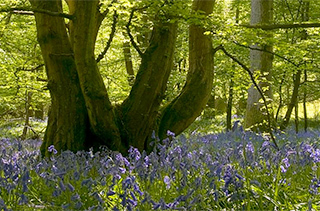 Activites are free, as part of Sussex Wildlife Trust’s celebration of 50 years at Woods Mill. Thanks to generous support from ScottishPower Foundation. Due to dry conditions on site pond dipping has been replaced with meadow sweeping in the Mill Ditch Field. This is a great opportunity to find out more about the beetles, spiders and other mini beasts that live in meadow. The pond dipping activities may be switched for other activities depending on water levels and pond health during the season.